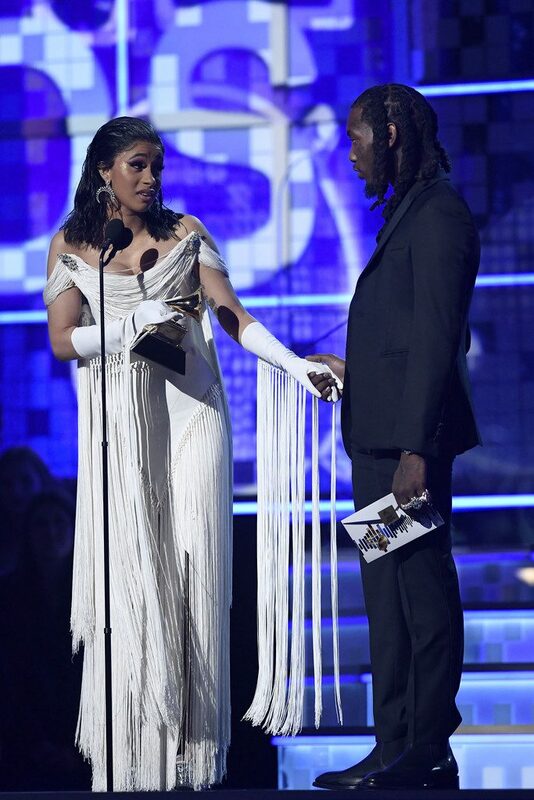 "I Just Want To Say, Thank You, Everybody That Was Involved"
Cardi B won a Grammy Award for Rap Album of the year at the 61st Grammy Awards on Sunday (February 10) for her album, Invasion of Privacy. 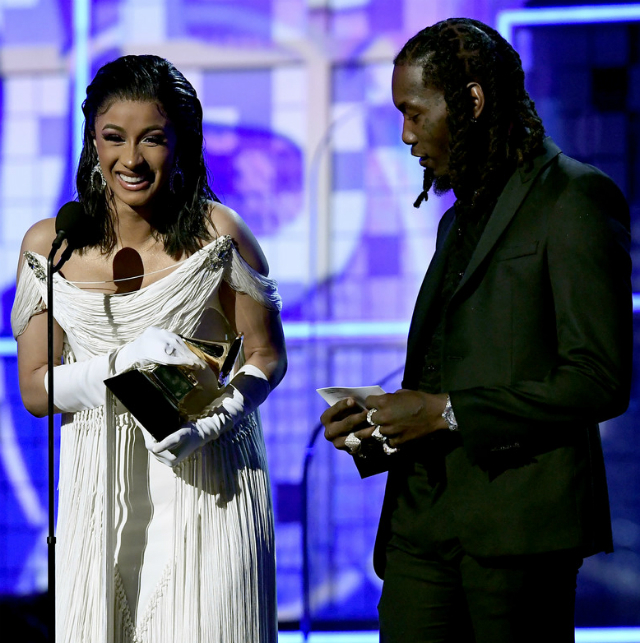 The ‘I Like It’ rapper was sure to thank her husband, Offset, and daughter, Kulture, for the honor. 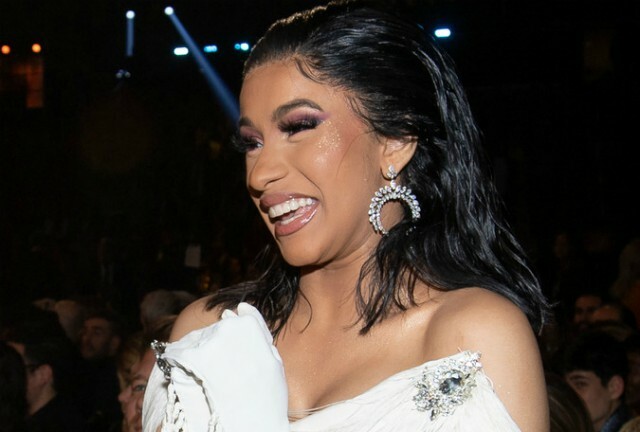 Cardi B went on to thank fellow artists who participated in making Invasion of Privacy. 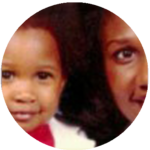 The recording artist gave a special shoutout to her husband who pushed her to finish the album while pregnant. “He was like, ‘Oh you gon’ do this album, girl. We gon’ have this baby and we gon’ make this album,'” Cardi B revealed. Invasion of Privacy is Cardi B’s debut album that hit the market on April 5, 2018. The project came after Cardi’s incredibly successful single, ‘Bodak Yellow,’ which topped the Hot 100 chart for three consecutive weeks three months after making its debut. Kulture is Cardi B and husband Offset’s only child together. Stay tuned for more celebrity mom news!